Shampoo commercials have been the same since the fifties. It's all about shine and bounce. But we think a major hairstyle that has been overlooked. What is that? A bohemian witchy look! This hairdo can't simply just happen by taking showers and spraying hairspray into your do. Nope, you've got to spend plenty of time huddling over a cauldron mixing up magical ingredients on moonlit nights to achieve this wild texture. And here's the thing, we see this wild hair and we think that this woman would desire a smooth style that we usually see on television. That's not true! This witch earned her swampy look. She's not going to use conditioner and wash all her mystical experience down the drain. 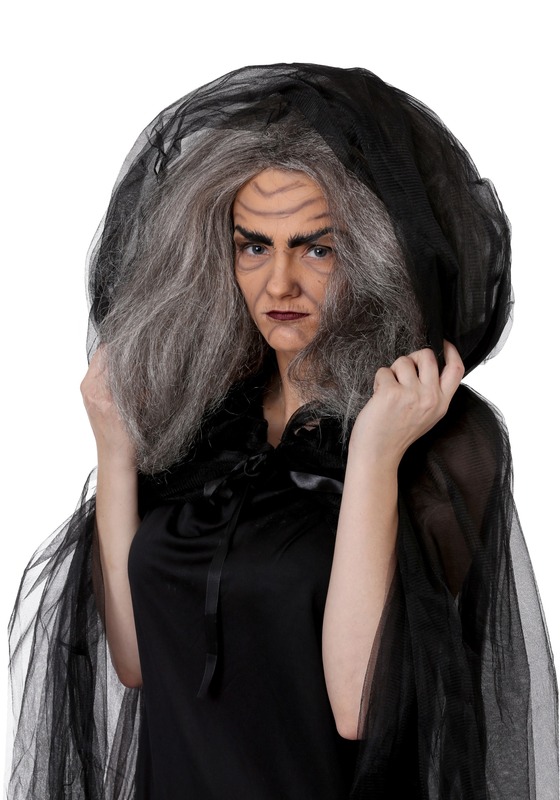 Get that eerie look with this mysterious wig. 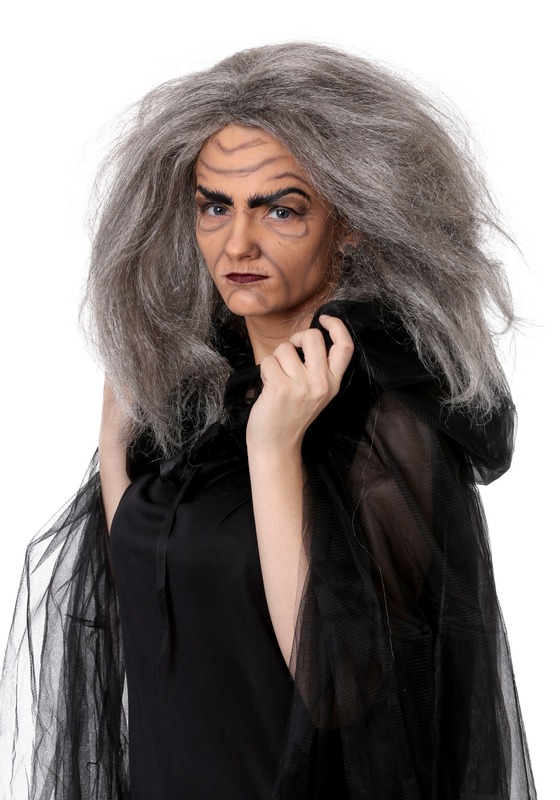 This gray and black hair has plenty of volume and will finish off any witch costume or cat lady ensemble with ease! Whether you style it or simply encourage the wild body to shine through, this will make your costume into a showstopper. We know that folks these days are too busy to really spend much time gathering newts eyes and dew gathered by the full moon so you're not likely to get this look in the traditional way. So we're here to help you finish off your witchy look with ease!